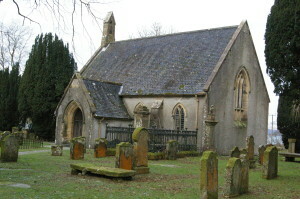 Inverchaolain Church, built 1912 on the site of its earlier predecessors. 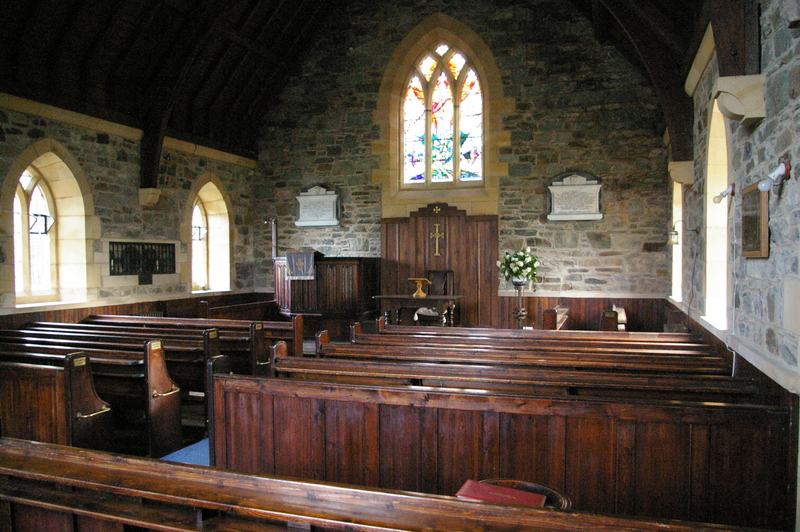 The former parish church of Inverchaolain lies on the east shore of Loch Striven. To get there you drive south from Dunoon, round Toward Point, and than north up the loch-side. The church lies near the end of the road, on the way to nowhere – unless you fancy a walk. This may be part of the reason it is now so quiet and feels like such a peaceful place. In the past it was the parish church serving a wide area, with people coming across Loch Striven by boat from as far away as Colintraive. Now there is no regular service here and the church was sold in 2017 to a private owner. It is not known, as yet, what access (if any) will be made to visitors. 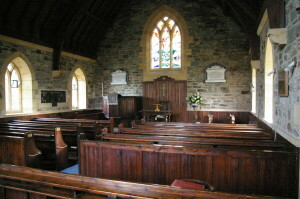 The present church was built in 1912, replacing one built in 1812 which was destroyed by fire, and on the site of two even earlier buildings. That is why there are so many gravestones in the churchyard which are so much older than the church itself. But this is not the site of the medieval church of Inverchaolain, which seems to have been a couple of hundred yards away, on the hill just above the present church. In spite of careful enquiry, there is no convincing account of which saint was commemorated in the medieval church of Inverchaolain. The Clan Lamont Museum/Archive welcomes visitors who are interested in the history of the clan and its area, and has a fine collection of artefacts and documents in the old manse, right next door to the church. Perhaps some intrepid researcher might find the answer to the question in there. For a good Ordnance Survey map of Inverchaolain and the surrounding area, with roads and footpaths, click on ‘View Larger Map’ below.